The earliest pilot watches were basic time-tellers with a decidedly crucial purpose: to provide pilots with accurate timekeepers that had clear and simple readouts by which they could tell time quickly and easily. It’s this necessity of function that separated pilot watches from other, more complicated timepieces. 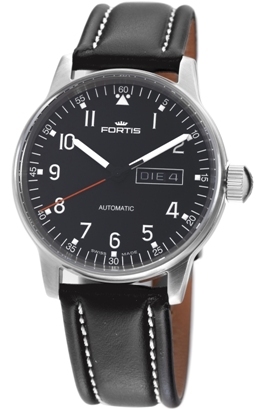 The Fortis Pilot Professional is an exceptional rendering of this highly functional tool-watch. The 40 mm, brushed stainless steel case has a narrow bezel and large sapphire crystal that provide a wide-open reading area. The crown is knurled and oversized to make it easy to grab, even with gloves on, and the padded black leather strap with prong buckle is comfortable and close-fitting whether it is worn over or under clothing. The dial is matte black with contrasting white Arabic numerals and indices, each of which is coated in Super-LumiNova, a phosphorescent-pigment paint that glows in the dark; the hands are also generously coated, ensuring good legibility, day or night. 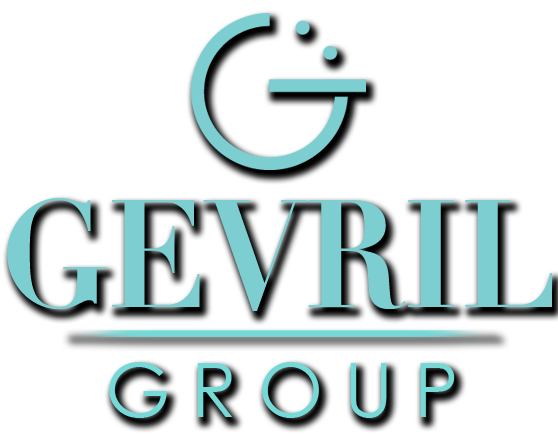 The ubiquitous arrowhead index that appears at “12” typifies the aviator genre; in its day, the index’s primary significance was to provide upward orientation of the dial in low light. In terms of precision, the Pilot Professional houses a 25-jewel ETA 2836-2 automatic movement, which beats at 28,800 vibrations per hour and utilizes an Incabloc shock absorber to protect the balance. Another important characteristic of this movement is the “hack” or “stop-second” setting mechanism: when the crown is pulled out the seconds hand stops, allowing the wearer to set the time more precisely. Before the advent of computer-aided navigation, the hack function was a noteworthy addition to the pilot watch, since even the smallest timing oversight could lead to a critical navigational error. For a touch of contemporary functionality, the Fortis Pilot Professional is water resistant to 650 feet, thanks in part to its screw-down steel caseback and crown. The watch’s lone complication is a day-and-date indicator featuring a bilingual day wheel in German and English, which is a nod to the significant influence that Germans had on pilot-watch development in the mid-20th century.